This combo will delight any lover of the ocean. Sea Turtles are amongst some of the most mystical animals on earth. Create this beautiful pattern using your own color palette. Add fussy cut features from coral reef fabrics to enhance the amazing world under the sea. Easy to follow instructions are included. This pattern makes a wall hanging 31 x 20 with out the border. 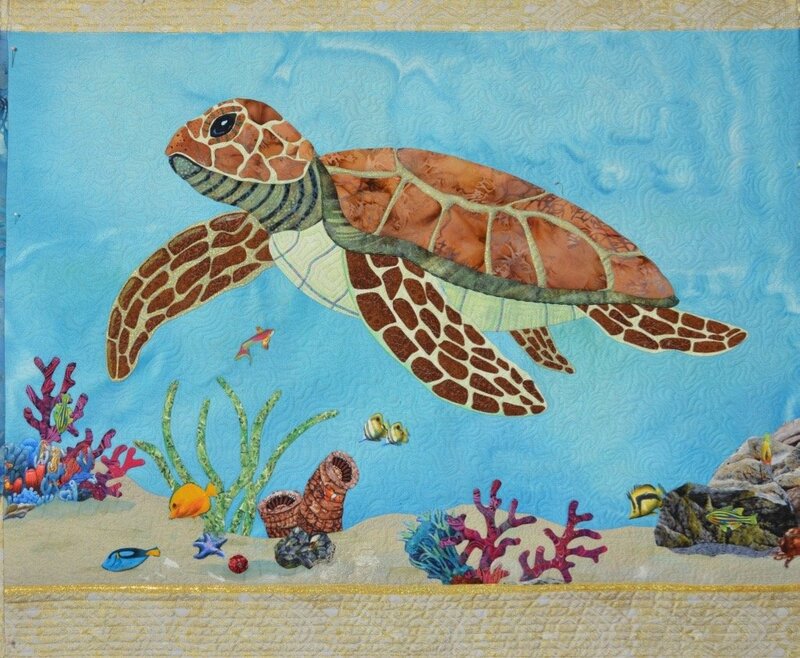 Add wonderful 3-D thread Sea Fan embellishments using this kit with easy instructions. Thread embellishment kit for making sea fans out of thread. Kit includes 2 layers of 12 x 12" tulle, a 12 x 12" layer of water dissolvable stabilizer, 1 spool of Magnifico variegated thread, 1 spool of Fantastico high sheen polyester thread. Both threads by Superior. Pattern and instructions for the sea fan. See video at to watch Kathy making this beautiful thread embellishment.